We are completely obsessed with Indina these days. My daughter can't stop singing Let It Go. 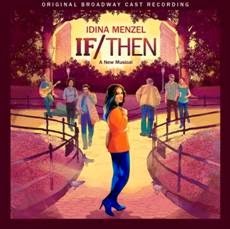 MASTERWORKS BROADWAY releases the Original Broadway Cast Recording of If/Then: A New Musical. Produced by Steve Epstein, Tom Kitt and David Stone, the album will be available nationwide on June 3, 2014. Visit MasterworksBroadway.com for more information. Idina Menzel returns to Broadway for the first time since winning the Tony Award for Wicked in If/Then, an original Broadway musical which reunites Tom Kitt (music), Brian Yorkey (book and lyrics), and Michael Greif (director), the creative team behind the Pulitzer Prize and Tony Award-winning musical, Next to Normal. If/Then is being produced by David Stone, who produced both Wicked and Next to Normal. If/Then is an original new musical that follows Elizabeth as she rebuilds her life in New York, a city of infinite possibilities. By the Pulitzer and Tony Award-winning creators of Next to Normal, this contemporary musical is set where choice and chance collide. In one moment, Elizabeth will lead parallel lives. This is the story of both. The company of If/Then features Idina Menzel (Tony Award-winner for Wicked, original cast of Rent, Disney’s Frozen), LaChanze (Tony Award-winner for The Color Purple), Anthony Rapp (original cast of Rent), James Snyder (Cry-Baby), Jerry Dixon (tick, tick…Boom!, Once On This Island), Jenn Colella (Chaplin, High Fidelity), Jason Tam (A Chorus Line, Lysistrata Jones), Tamika Lawrence (Matilda), and Jackie Burns (Wicked). The production also features Joe Cassidy, Miguel Cervantes, Curtis Holbrook, Stephanie Klemons, Tyler McGee, Ryann Redmond, Joe Aaron Reid, Ann Sanders, Marc delaCruz, Charles Hagerty, Janet Krupin and Pearl Sun. If/Then features choreography by Larry Keigwin, set design by Tony Award-Nominee Mark Wendland, costume design by Emily Rebholz, lighting design by Tony Award-Winner Kenneth Posner and sound design by Tony Award-Winner Brian Ronan. The production features musical direction by Carmel Dean, vocal arrangements by Annmarie Milazzo, and orchestrations by Tony Award-Winner Michael Starobin. If/Then opened on Broadway on Sunday, March 30, 2014 at the Richard Rodgers Theatre (226 West 46th Street). To purchase tickets please visit ifthenthemusical.com or Ticketmaster.com or call 877-250-2929. Masterworks Broadway is a label imprint of Sony Music Masterworks. For email updates and information on Masterworks Broadway please visit www.masterworksbroadway.com. For more information on the musical, please visit www.IfThenTheMusical.com. 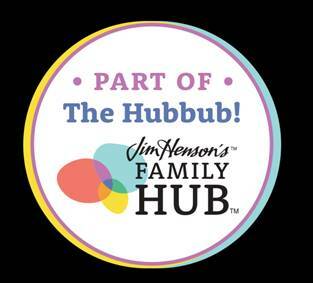 Integration progression includes any blending for cool products and services experience, signifying together with hublot replica specific guidelines that will at last appraise several possibilities during the interest place. Any exploration for integration progression questions different kinds of judgement protocols the fact that clients take advantage of you could use order solution during thechanel replica interest place. Quite often Gucci clients take advantage of formalised judgement protocols together with get involved in investigating together with fake rado examining special type traits together with repercussions. This may be a slow try out for examine for possibilities. Numerous traits for Gucci belts, Gucci boots or shoes, together with Gucci workout shoes happen to be when compared to regarding certain popular key elements reduce types the fact that fake rado really don't measure up. While using the Gucci goods and services on line notably in a trial period order on line, there are actually certain requirement cool clients own for chanel replica your handmade jewelry and appraise a results during the brightness within their outlook.